In the middle of an apparent lull in eye-catching activity elsewhere, our interest has been focused on two Central American volcanoes recently that both bear keeping an eye upon for different reasons. Colima has been active since 2013 and is the most active volcano in Mexico. It is covered by a couple of very good webcams that regularly offer interesting views of Strombolian to Vulcanian blasts, day as well as night. In contrast, Momotombo had been inactive for a century before it sprang back to activity last year. While it too is covered by webcams, the instrumentation available courtesy of Ineter (Instituto Nicaragüense de Estudios Territoriales) is quite comprehensive even if what they reveal is baffling. Also known as Volcán Fuego (fire) or sometimes as Colima de Fuego, the Colima volcanic complex is located in the western part of the Mexican Volcanic Belt. It consists of two major peaks; to the north, the older Nevado de Colima (4320 m a.s.l.) and to the south, the younger Volcán de Colima (3850 m a.s.l.) with a third, the oldest and eroded El Cantaro, being considered extinct. The Fuego edifice stands in a 5-km wide caldera that is breached to the SSW in the direction of the town of Colima City (pop. 132,273 as of 2005), 30 km from the volcano. There is also a parasitic set of domes known as El Volcancito on the northeast flank of Fuego. In addition, the complex is spanned by a group or groups of cinder cones which date back more than 10,000 years. The Colima volcanic complex has an estimated volume in excess of 700 km3, which makes it twice as large as the Mount Shasta complex in California. It is situated on the Colima graben and as with the Popocatepetl group of volcanoes, the source of the magma is a steeply inclined subducting plate, the subduction of which causes the volcanic centre to move from north to south with time. While Nevado has not been historically active, that is there has been no observed eruptions since the arrival of the Spanish in the second decade of the 16th Century, Fuego is listed as having had 57 eruptions or eruptive periods since the first registered in 1519. Colima de Fuego erupts with Strombolian to Vulcanian explosions and while there is one VEI 5 listed (1913) as well as a handful of VEI 4, the median eruption is VEI 2 and the erupted lavas andesitic to basaltic-andesitic in the main. The previous eruptive cycle (1997-2011) left the crater plugged by a dome which was destroyed as the ongoing cycle commenced. The main hazard associated with frequent but small explosive eruptions that showers the flanks with picturesque cinders is that welding is poor. This means that the Colima volcanic complex is little more than an immense pile of rubble and prone to both flank collapses and lahars. There is evidence of repeated, major slope failures from both cones which have left a thick blanket of debris on the E, S and W sides. The largest identified such collapse occurred in the late Pleistocene reaching the Pacific 120 km away and covered some 2,200 km² with approximately 25 km³ of avalanche debris. As more than 300,000 people live within 40 km of the Colima complex, it is not surprising that it was designated as one of the 16 Decade Volcanoes. 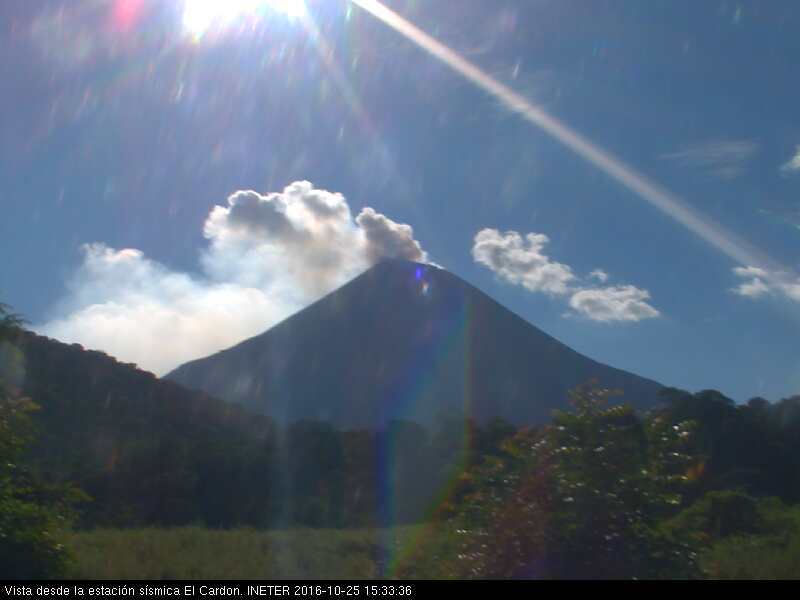 At present, eruptions at Colima are ongoing and there is a very high probability of catching one in the act whatever the time of day on one of the excellent webcams provided by Webcams de Mexico. Located immediately adjacent to Lago Xolotlán, Lake Managua, about 35 km NW of Managua, the picturesquely symmetrical cone of Momotombo is one of the major landmarks of Nicaragua and is part of the highly active Nicaragua-Costa Rica Quaternary volcanic chain. Apart from the main edifice, there is a highly active geothermal field on its SE flank and 10 km from its summit, the cone of Momotombito penetrates the waters to form a perfect miniature of its larger parent. Momotombo is a very young, andesitic stratovolcano that is considered to be a Somma-volcano as it is centered on the southern rim of the by now almost in-filled caldera of the previous summit, Monte Galán. The current edifice began to grow as recently as 4½ thousand years ago and by now has an elevation of 1,297 m with a prominence almost as great. The volume of the new edifice is on the order of five cubic kilometres which yields a figure of approximately 1 km3 per 1,000 years. The erupted lavas are Andesite – Basaltic Andesite and Basalt – Picro-Basalt in composition. Since the Spanish arrived in the first decade of the 16th Century, Momotombo has erupted fifteen times, almost always a VEI 2 even if the first eruption in 1524 was a VEI 3 and a VEI 4 is listed as having taken place in 1605. Before the latest eruptive cycle began on Dec 1st 2015, Momotombo’s last confirmed eruption was in 1905 when a lava flow travelled down the NNE flank into the Galàn caldera, the same route taken by recent lava flows. Even if the cycle officially ended on April 7th 2016, the volcano has been at a high state of unrest since with copious amounts of water vapour being ejected in plumes several kilometres high at times. As it stands on a highly active subduction zone, earthquake activity is high and it is not always easy to differentiate whether or not such swarms are merely tectonic or volcano-tectonic in nature. The information given by the excellent instrumentation provided by Ineter is also hard to unravel. After a particularly intense series of tremor including explosions, tornillos and harmonic tremor the other day, Carl Rehnberg said that any sane volcano would have erupted months ago. We all sit and have momo-watches going “oh” and “ah” about all the juicy examples of perfect examples of volcano-tectonic, harmonic tremor, volcanic type B, tornillos, Ultra Low Frequency tremor, and so on and so forth. And, since I have been quoted upon it, one night Momo had 3 really violent episodes of tremor and earthquakes of various types and I really did say that any sane volcano would have erupted by then. And I stand by that sentiment. So, welcome to our little momo-watching club. Yep… we watch, speculate, and occasionally dance frantically about what we see. And this is the current view of the festivities at Momotombo. One should remember that the bottom of the volcano is at lake level, so the aquifers are not going to run dry. They lost… then like good little idiots, we then paid for it after we took it. In regards of paying for land, wonder when Poutine will bill for Alaska. Turns out half of the money was never paid for it. Valid question. Sort of explains the uranium deal. I noticed there was a 4.7 in Rwanda yesterday. Does this have any significant meaning or impact to your African topic we have had recently. No, not directly. But the area is pretty rife with earthquakes of that size or bigger due to the West African Rift. Italy has had a 5.5 mg earthquake. A bit of an aftershock of the Perugia quake, or perhaps otherwise caused by it. I trust long range forecast for about 5 days, after that it always turn into so much garbage. There is just no way to long term predict weather. As always when I see predictions like this, I say “consider the source”. The Express, an organ whose relationship to reliability (let alone reality) is at best tangential. How about hyperbolic? Tangential would imply the distance between a straight line and the rim of a circle. So, by necessity, one party is going along the straight path while the other is doing circles. The express predicts horror weather about every other week so is perhaps not quite the most reliable source. The UK metoffice does in fact predict a colder than usual November (at least, a higher chance of colder weather with mainly northerly winds). But they don’t make a winter prediction at this point. Accuweather does, and they predict a mild and wet winter. I prefer dry and cold! The north atlantic ocean is a bit cold at the moment, but this may be due to the large amount if ice melt this year. No pattern yet but if the melt continues (for some reason it hasn’t really started to refreeze yet although it should have), this could keep the winds northerly over the easter atlantic. Accuweather bases their forecast in the conventional computer models, which I must say, I often pretty accurate. The models predict a winter rather mild and wet over most of Europe, due to increased westerlies and storms. However at the moment, there is a large high pressure blocking over Scandinavia, which is stirring ocasionally cold into central and northern europe, and this will probably dominate November, into making it a rather cold and drier month. But apparently most specialists think that this pattern will not continue into December. Nevertheless the consensus is that this winter might feature more arctic blasts into Europe than the past 3 winters, but likely it will not be a cold winter like 2009. The UK should get a rather wet and mild winter. The Daily Express seems to be a joke, predicting the coldest winter of the past hundred years for the UK for the past 4 years! So far across central Europe, September was very warm, October has been relatively normal, November might be relatively cold. Offtopic finished. Two major earthquakes hit Italy. One 5.9 and one 6.1. Most recent UK Met Office forecast is a cool, dry winter up to end December, followed by wet and mild. Their new models have just come out on the Atlantic Circulation and they have what they term a reasonable confidence on the long ranger. However, for the Express, Daily Fail and other UK papers…. “I prefer dry and cold!” For comfort, yes, but that is a heavy static producing environment. Good luck working on electronics. BTW, fabric softener mixed with water in a squirt bottle works great when spritzed on carpeting to knock down static build-up in the winter. Have you noticed that Scandinavian homes are without carpeting? One would think it would be nice in our cold and dry climate to keep the feet warm. But, due to the static electricity we would just end up electrocuting each other. This headline appears in the Daily Express each Autumn: it’s more reliable than a barbecue summer…. Back on topic for a mo: under the webcamsdeMexico figure it looks at though there might be activity on Nevado de Colima (mentioned in figure caption) yet elsewhere in the article it says this hasn’t erupted since the Spanish arrived in 1519. Since the webcam pic appears to be dated 18th October this year, is this the first historical activity at this volcano or is it just a trick of the light? I figured that, otherwise I would agree about it being BIG news. Would have been nice if VC had been the fist people in nearly 500 years to spot an eruption! We’ll just have to keep watching I guess…..
Another quake in Italy, same region, around 6,0… It was felt even in Croatia, Bosnia Herzegovina – across the Adriatic… How is that possible? That is very bad news. 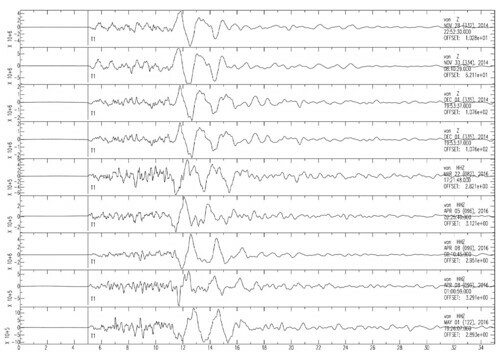 So the previous one was a foreshock. This would have been strong enough to do serious damage. I recall reading in the beach ball tutorials a bit back that the earth is splitting at that region and pushing towards Croatia. Perhaps its because of that. Offcource the only reason i remember this is because i really needed that tutorial on those beachballs. So i may be completely wrong here. Regardless. Earthquakes are far from uncommon in that region. Sometimes a multiple of them strike relatively shortly after each other. And sometimes it takes a break. Its hard to tell what the damage will be as it highly depend on the local situation and timing. I dont really understand why the nation always seems to be surprised by them. At least that’s my impression. Just an FYI, across the Adriatic in the mountains, some researchers have found evidence of “supra subduction.” Evidently, there is a section of terrain there that has undergone multiple subduction events from different directions and the residue from that is evident in the rocks. They got stuck there during the closing of the Tethys. Caution, link contains nagware that wants you to join some sort of club/boy band. I felt the quake in Florence. Earth is dancing yet there. My money was on Anatolia, I lost. Scratch that, I didn’t say anything. Italy is already running out of people to prosecute for seismic events. Remember Clarkes 3rd law. Evidently it applies to the litigious. FYI, I have not vetted this site or info. Sorry, just browsing headlines and thought of you guys when I read this. I do not know about the site, but the news is correct. IS torched a sulfur processing plant to try to gas the advancing Iraqi army. It promptly backfired on them since they forgot that it was blowing in their direction and not towards the Iraqi army. Reportedly more than 1000 residents inside of Mosul has been poisoned. And, with the fighting going on that will burn until Mosul is taken, so expect a lot of sulfur to be released in the upcoming months. Does the 7km deep, followed a minute later by a shallower event signify anything new? To me (a layman) the temporal relationship seems to imply pressure from below exerting influence almost all the way to the surface. That’s different that simply ‘settling’ isn’t it? There are 3 things going on at Bárdarbunga. 1. Deep refill of magma at 10km+ depth. This is evidenced by changes in GPS-trajectories. 2. Magma chamber pressure changes as the caldera plug drops as evidenced by earthquakes between 10 and 7km. 3. Caldera plug settling due to lower pressure in the chamber than the weight of the plug. What happened here is that the bottom of the plug got unhinged and that in turn affected higher up. No fluid type signature in there so it was not inside or on the side of the magma chamber itself. So does that mean the deeper system is trying to push the plug back up while it continues to drop, or are the dropping and refilling not directly related? In other words is the system preparing for the next eruption, continuing to settle from the last eruption or both at the same time? At depth the system is refilling, the magma chamber is still low pressured after the eruption (making the plug drop). The system is doing both things at the same time. But, the magma chamber is not pressurized enough to erupt again by a long shot. When the plug stops dropping and slowly start to push a bit up, that is when you can expect an eruption. I give it anything from 3 years to a century. So, when it goes “quiet”, that is when it may start to be ready. You do not think the analysis on the initial movement changing direction in the older quakes versus the more recent quakes shows a rise in the plug? Ian, let me try to explain this. We do get a broad uplift over a large area due to the refill at depth as magma moves in to replenish the magma that was erupted. That occurs at depth and shows as a diffuse general uplift. This infill occurs at depths between 17 and 12 km. The magma reservoir between 7 and 10km is under pressured due to loss of magma. It is repressurising as magma moves up into the chamber, but mainly via the weight of the dropping plug. The caldera floor is dropping like a stone 🙂 This gives a very localized deflation instead. All of these things happen at the same time giving a confusing picture. Are there any measurements, like radar mapping of the ground topology under the ice, that confirm that the plug is still dropping? Otherwise, I think the reversed direction of the initial movement strongly suggests quite the opposite. How much of spreading is going on in the BB caldera and how could this affect the plug and gps data? 9mm of spread annually along a NNE/SSW line that dissects the caldera. Askja is definitely charging up I think… it’s been on a long slow fuse and we have no real idea how far along it is. The GPS tells a different story. The annual deflation is in full swing, and during the 3 last years the overall trend has been deflating. Thank you Henrik for reminding us what volcanic activity should look like during this “Lull” and to keep us volcanoholics happy. A reminder to us all glued to web cams hoping to be the first to see “an Awakening” that NO! Small puffy, flying sheep-like clouds are not usually a pre- eruption signal and drum plots and other seismic signals should look like Granny “B”‘s Nordic Knitting pattern not a couple of blips possibly caused by some illegal Nuclear device Testing somewhere that shouldn’t be. Having said that there is always an exception….so keep watching! It keeps us all out of trouble and is a good excuse not to let household and other chores take over our lives. And sometimes you get flying sheep too. 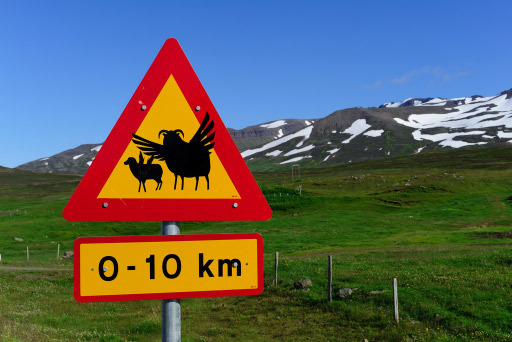 I’m still not sure how they fit in as an indicator for an impending eruption – but because they can fly, Icelandic sheep are simply ewesome. Volcanoes Off the Beaten Track!